Submitted by Migrate Wizard on 2016-03-07 05:20. A scene from the popular persistant world Arleah - Cardathian Adventures. 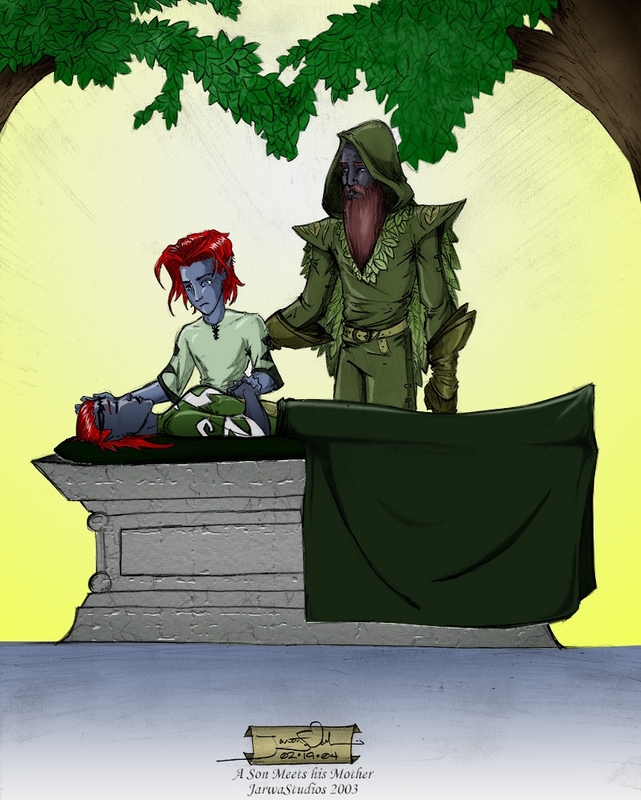 Depicts Auren Mars in a coma with her son meeting her for the first time he can remember with his mentor Utinu.